Organising a group trip for ten or more people can be daunting but we have put together one of the largest selections of large group accommodation to make choosing a venue simple. 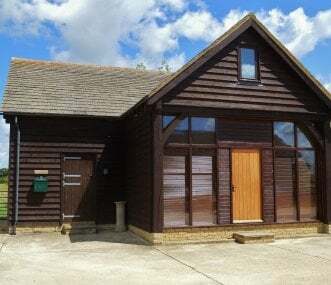 Set in the serene English countryside of the Heart of England, our charming holiday cottages and large rentals are the perfect venue for short breaks and holidays. Take in the natural beauty of the area from one of the most beautiful cottages the Cotswolds has to offer, or from a large country house in The Peak District. Historic houses, stunning gardens and quaint village pubs are just a few of the delights that await you in the Heart of England. Here at Group Accommodation, we make it simple for large groups to book charming holiday cottages in the Cotswolds, The Peak District and the counties in between. Some of our properties cater for large groups of up to 300 people and even our smallest properties sleep 10+. We concentrate on finding accommodation for large groups so you can rest assured that your dream venue can be found among our impressive selection. 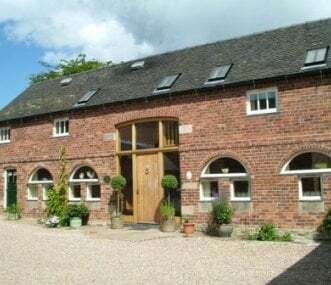 Exclusive use 10 bed contemporary barn conversions with a 7 seat hot tub on the Derbyshire/Staffordshire border. 2 acre field and easy walk to 2 local pubs, Indian restaurant and woodland walks. The Shakespeare Lodge Exclusive Hire with your own Hot Tub heated all year. Sleeping & dining for up to 12 guests. Hen parties, celebrations, group holidays. Well positioned in Central England. The Cotswold Manor Cottage sleeps 12-14 guests with a private hot tub and shared access to 70 acres of parkland with a games barn on site. Near historic Oxford and the Cotswolds. Large, luxury, award winning self-catering cottage with large gardens, a hot tub and sauna. Peacefully located, stunning views. Central for all activities. Pampering and catering available. 5 star luxury house in Matlock town centre, gateway to the Peak District. Suitable for a large family group, hen or stag parties and reunions. Parking, hot tub, games room and sauna. Perfect for all. 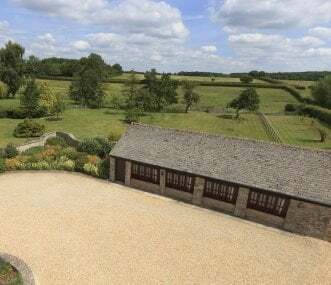 The Cotswold Manor Barn near Oxford sleeps up to 14 guests with a private hot tub and shared access to 70 acres of parkland and a games barn. Ideal for special occasions and family get togethers. Large, luxury, self catering holiday cottage and party house located in the Derbyshire Dales close to the Peak District. Surrounded by large gardens, with its own hot tub, barbecue and patio. 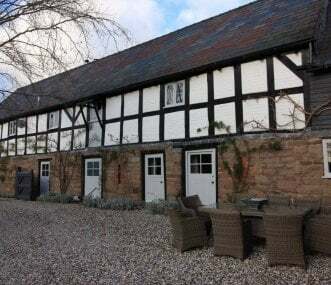 17th Century, Grade ll listed Cider Barn with original features and modern influences. Hot tub, sauna, pool and spacious living accommodation. Suitable for large reunions of family and friends. The Cotswold Manor Byre sleeps up to 16 guests with a private hot tub and shared access to a games barn and 70 acres of estate parkland. Dog friendly venue for large family and friend get togethers. If you are looking for large holiday cottages in the Cotswolds, the Peak District or further afield rest assured no group is too big. 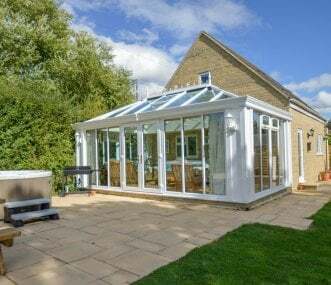 We have helped hundreds of groups find the perfect holiday accommodation and when it comes to spacious holiday cottages in the Heart of England, we understand the needs of our customers. Choose us for the best selection of large holiday cottages online. Our holiday properties in The Peak District and The Cotswolds range from outdoor centres, manor houses, groups of cottages to large farmhouses all converted to accommodate ten or more for a short break or holiday. Whether you are a family group, group of friends, a stag group or a group looking for a venue for a special activity then use our map search to help pinpoint where you want to go in the Heart of England. Alternatively click on one of the areas in the region below or use our suggestions to refine your search by how many there are in your group, whether you want a swimming pool or hot tub and by what type of group accommodation you are looking for. With Chatsworth and Bolsover in the Peak District and Blenheim on the edge of The Cotswolds hosting some prestigious events throughout the year there are plenty of things to focus on for a good day out. If your group likes the visual arts then basing yourself near Ashburne for the Wirksworth Festival in September is a good option. Walkers can choose the Winchcombe Walking Festival in May or head for Chesterfield Walking Festival in The Peak District for their group walking. Book lovers should look for a Group Accommodation venue near Chipping Norton in April to coincide with their literary festival or consider a Book Club outing for the Derby Book Festival in June. Cheltenham hosts a literary festival in October – look out for our large town houses available for rent.